The Golgi apparatus consists of flattened membranous sacs. They look like a stack of pita bread. A cell may have several interconnected stacks. Each cisterns in a stack consists of a membrane. This membrane separates its internal space from the cytosol. Vesicles concentrated near the Golgi apparatus. They are used in the transfer of material between the Golgi and other structures. After leaving the ER, many transport vesicles travel to the Golgi apparatus. GoIgt apparatus is a center of manufacturing, storing, and transportation. Here. 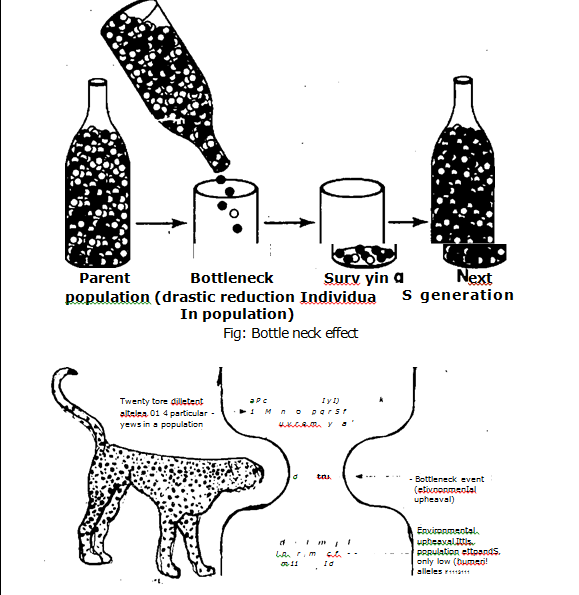 products are niodified and then sent to other parts. The Golgi apparatus are extensive in cells specialized for secretion. The cis-face (or forming face): The cis face is located near ER. 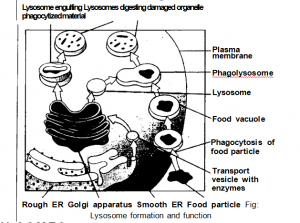 Transport vesicles move material from the ER to the Golgi. A vesicle buds from the ER. 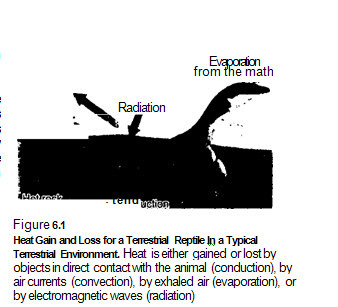 They forms transport vesicles. 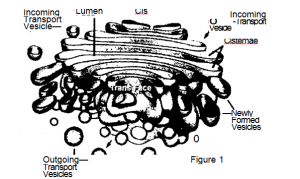 This transport vesicle fuses with cis face of Golgi apparatus and transfer its contents to Golgi membrane.